Workshop Wednesday Archive | CARES, Inc.
CARES of NY firmly believes that educating our community and increasing awareness of homelessness and potential solutions is one of our most important jobs. 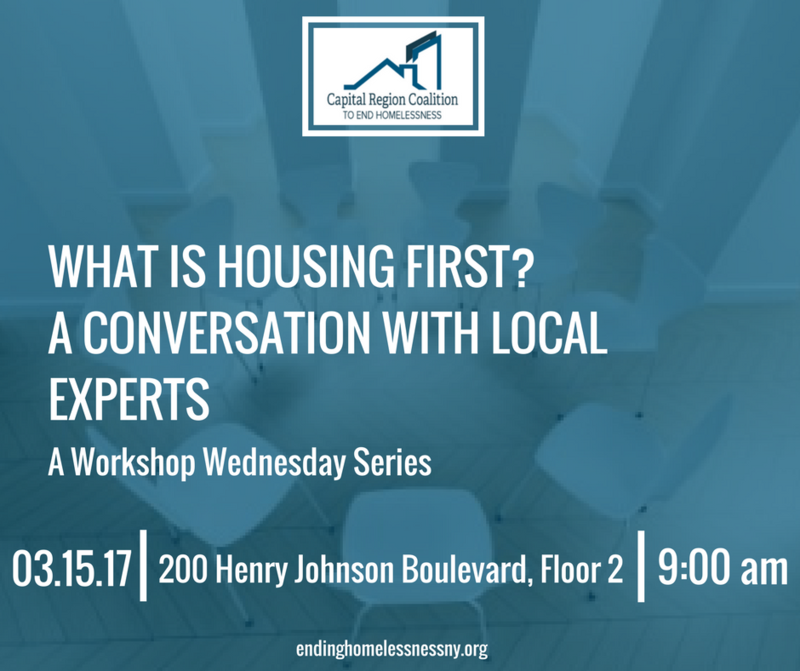 Workshop Wednesdays were organized by the Capital Region Coalition to End Homelessness, and presented by The Community Foundation for the Greater Capital Region, to provide local community members with information to better support a comprehensive, systematic, and compassionate community response to reducing homelessness and unstable housing. 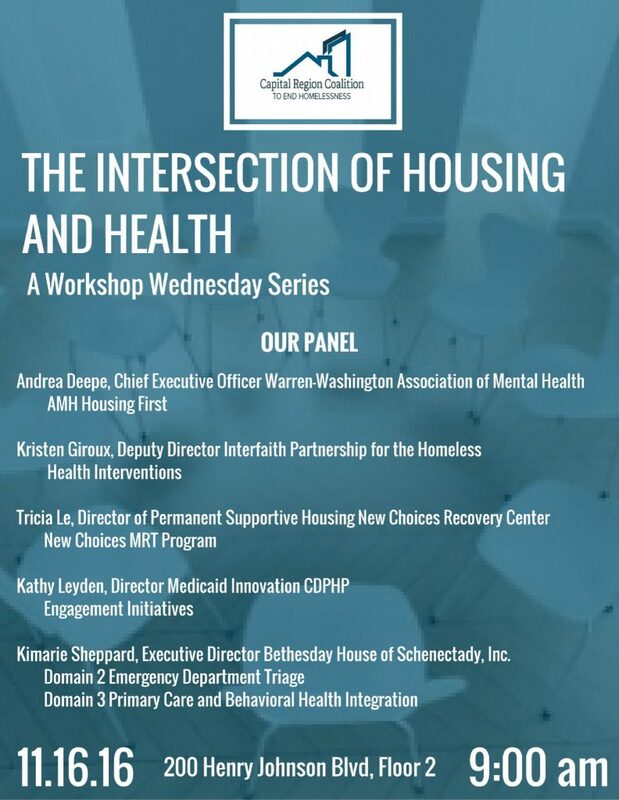 What are the most important federal and state policies impacting those who serve persons who are homeless or unstably housed? What are concrete actions providers / stakeholders /community members can take to advocate for these policies? What are housing regulations as it relates to gender identity? Discussion: lived experiences/ challenges/ successes going through the homelessness system as a woman who identifies as transgender. What is the connection between homelessness and poverty? What is the connection between the homelessness system and the poverty system? What are the CAPRI / ESPRI projects doing to combat local poverty? Homelessness from the DSS perspective – what is the role of DSS? How do providers and landlords collaborate in a mutually beneficial way to support clients in accessing housing? What are best practices in coordinating mainstream services with domestic violence services?